SKU: n/a. Categories: Bridal Jewellery, Pearl Bracelets. Although pearls are described as ‘white’ they are of course a subtle cream which enhances any skin tone. They reflect light as a shimmer rather than a sparkle and whether the wearer has dark or pale skin the pearl will look wonderful. Classic designs such as these never date and the pearl bracelet given as a wedding gift will be looking just as lovely on a golden wedding anniversary. 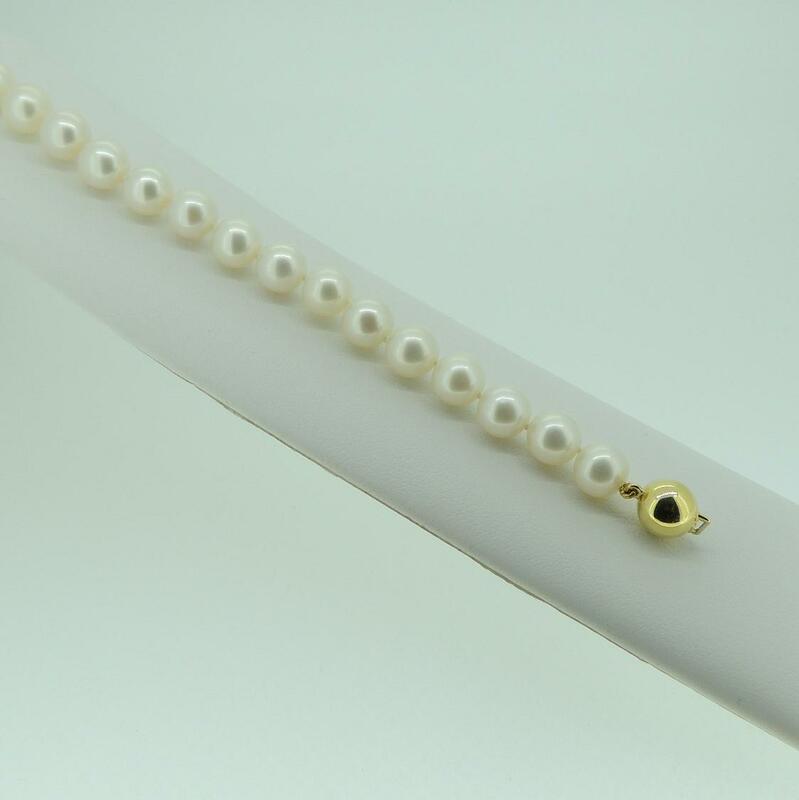 Pearls improve with wearing and at our very attractive prices they deserve to be given an outing as often as possible – they look as good in the office as when out for the evening, so enjoy!